Education: University of Houston, B.A., M.B.A. 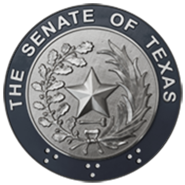 Senator Carol Alvarado is proud to serve Texas Senate District 6 in Harris County and was first elected in a 2018 Special Election. In 2008, she was elected to the Texas House of Representatives and served 5 terms representing District 145. She served as Chair of the Urban Affairs Committee and Co-Chair of the Select Committee on Transparency in State Agency Operations. Carol’s primary legislative focus has been on economic development, public health and public education. She has championed legislation aimed at strengthening our state’s workforce, regulating the use of e-cigarettes for children and criminal justice reform. Carol is an advocate for women’s health and reproductive rights and has passed legislation to assist victims of sexual abuse. As a member of the Houston City Council from 2002-2008, Carol led the effort to make restaurants smoke free, stopped the shipping of more hazardous chemicals through our neighborhoods, and had air quality monitors installed in neighborhoods near chemical plants. Carol is a native Houstonian and longtime resident of Houston’s East End. 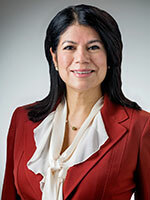 She holds a Master of Business Administration and a Bachelor of Arts degree in Political Science from the University of Houston and is a member of St. Alphonsus Catholic Church.